Philip Taaffe was born in Elizabeth, New Jersey in 1955, and studied at the Cooper Union in New York. His first solo exhibition was in New York in 1982. He has traveled widely in the Middle East, India, South America, and Morocco, where he collaborated with Mohammed Mrabet on the book Chocolate Creams and Dollars, translated by Paul Bowles (Inanout Press, New York: 1993). 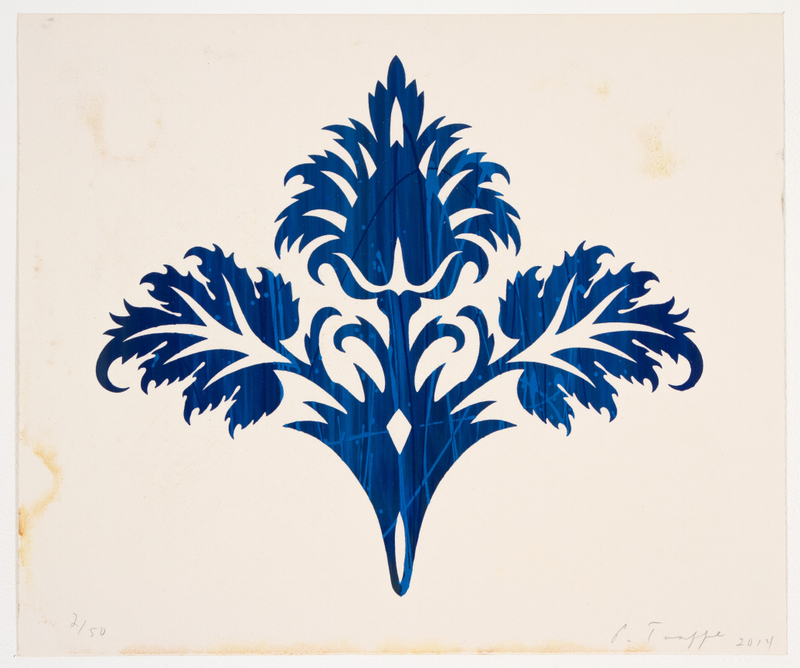 Taaffe lived and worked in Naples from 1988-91. He has been included in numerous museum exhibitions, including the Carnegie International, two Sydney Biennials, and three Whitney Biennials. In 1990 his work was the subject of an extensive critical study in Parkett no. 26 (Zurich & New York). His work is in numerous public collections, including the Museum of Modern Art, New York; the Philadelphia Museum of Art; the Whitney Museum of American Art; and the Reina Sofia, Madrid. In the year 2000, the IVAM museum in Valencia organized a retrospective survey of his work, with contributions by Enrique Juncosa, Robert Rosenblum, and Robert Creeley. In 2001 an extensive survey of his work was presented by the Galleria Civica of Trento, Italy (with texts by Vittoria Coen and Francesco Pellizzi). 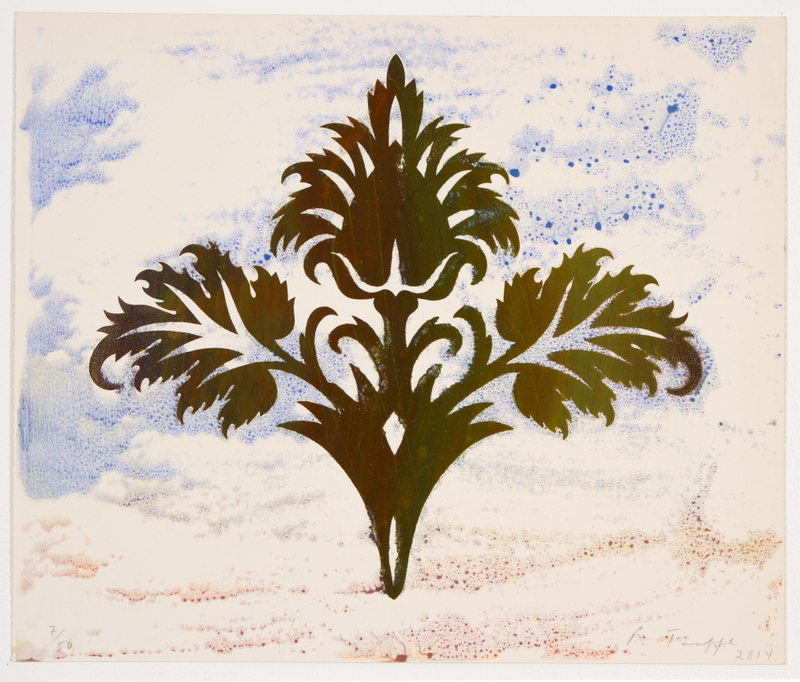 In 2004 the Galleria d’Arte Moderna in San Marino (Italy) presented a survey of paintings and drawings based on the artist’s explorations with floating pigments and the paper marbling process, accompanied by the Skira publication, Carte annuvolate(Cloud Papers) with esssays by Peter Lamborn Wilson and John Yau. In 2008 the Kunstmuseum Wolfsburg organized a retrospective survey, The Life of Forms in Art: Paintings 1980-2008, with a publication by Hatje Cantz, featuring contributions by Markus Brüderlin, Holger Broeker, Kay Heymer, and Brooks Adams. Philip Taaffe presently works and lives in New York City, and West Cornwall, Connecticut.